Distinguished by the personal attention it provides its students, Sacred Heart University (SHU) is known for its commitment to academic excellence, Division I athletics, cutting-edge technology, and community service. With over 8,900 students enrolled in more than 70 undergraduate, master's, and doctoral programs, this dynamic university is an innovative presence within Catholic higher education. 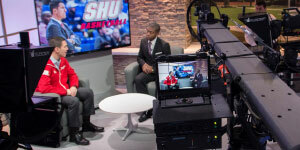 The SHU student body thrives on involvement outside the classroom, including 32 NCAA Division I sports; 27 club sports; a vibrant performing arts program with band, dance, theatre, and choir; Greek life in 15 organizations with more than 1,800 students; media groups; and more than 80 clubs and organizations. National and international recognition includes a top-tier U.S. News & World Report ranking, including the #4 “Most Innovative School in the North”; The Princeton Review’s “Best Colleges,” “Best Business Schools,” and #17 “Happiest Students”; Bloomberg Businessweek’s “Best Business Schools”; and selection by Colleges of Distinction. Many majors at SHU require an internship for graduation, and SHU’s extensive network of recruitment partners allows for students in all majors to gain experience through internships, field placements, and practicums. Students also intern in New York City throughout the school year and in their home states during summer breaks. Approximately 95% of our graduating seniors are attending top graduate and professional schools nationwide or are employed in full-time positions within the first year following graduation. As the second-largest Catholic university in New England, SHU provides students with an education rooted in the Catholic intellectual tradition. The spiritual heart of the campus is the stunning Chapel of the Holy Spirit, which provides a place of celebration and gathering for people of all faiths. Recognizing the value of a graduate degree in today’s marketplace, SHU offers an array of accelerated bachelor’s-master’s degree programs in each of our Colleges, which allow students to earn their undergraduate and graduate degrees in five to six years. 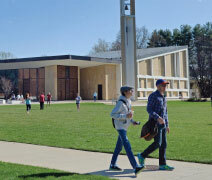 Sacred Heart continues to invest in building state-of-the-art facilities for students on its growing campus. The Martire Business & Communications Center, the Center for Healthcare Education, an on-campus diner, and two new residence halls recently opened, and the campus recently expanded to include the 66-acre former General Electric world headquarters. At the heart of the freshman academic experience at SHU are the connections freshmen form with faculty members as soon as they arrive on campus. In the First Year Seminar program, freshmen explore fascinating topics in an intimate weekly seminar led by a professor. Freshmen also work with an academic advisor in the SHU College in which they are interested in studying who guides their advisees on curriculum planning and other academic issues. Below are just a few other hallmarks of the SHU freshman academic experience. Students undecided on a major or career path find personalized guidance from professional career coaches and peer mentors in this unique structured program that helps students choose a major that's a fit for them or verify a choice they’ve already made. In addition to short-term and semester programs around the globe for upperclass students, SHU offers incoming freshmen the opportunity to spend their spring semester at SHU's own campus in Dingle, Ireland, or attend a one-week program in Ireland before the start of their fall semester on the main campus. 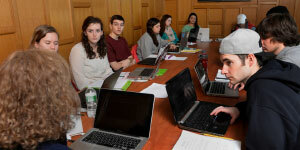 SHU’s learning community extends beyond the classroom to this dynamic online forum that connects students with their classmates, peers, and faculty who post ideas, videos, blogs, and more. Led by an instructor and peer mentor, FYE is an eight-week course that supports students in their transition to SHU and teaches skills, behaviors, and attitudes that contribute to resilience, success, and satisfaction. The Jandrisevits Learning Center offers learning strategies to meet individual students’ needs in the form of tutoring, workshops, Learning Labs, writing support, and group study sessions. The Office of Special Services offers additional services to those students with documented learning disabilities.